Hi everyone! 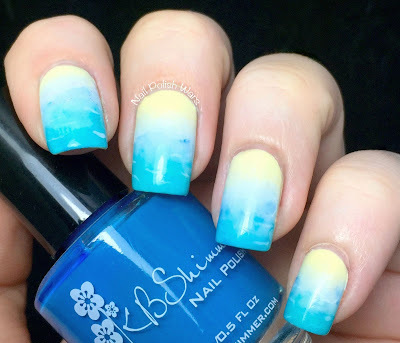 I went with this mani just before heading off to the beach. This one actually took a little bit of time. I started off with two coats of Color Club Macaroon Swoon, followed by one coat of SV. Using a damp wedge sponge, I applied a gradient using Color Club Macaroon Swoon, Color Club In De-Nile, and KBShimmer Sky Jinks, followed by one coat of SV. To add some depth and detail, I added some splotches with a light and medium blue Sharpie, and blotted it with a flat detail brush dipped in alcohol. For some water ripples and sea foam, I used my calligraphy pen with a soft white art ink. To finish off the sand, I lightly dabbed on some colorless micro glitter. I finished with one coat of SV. I love the end result! It was nice to be able to spend a good bit of time on a mani for a change! 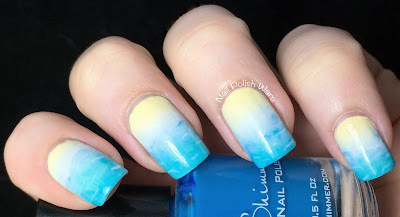 Love the beachy and relaxed vibes these nails give off. I got thesis writing help on the site. and now I have time for myself. 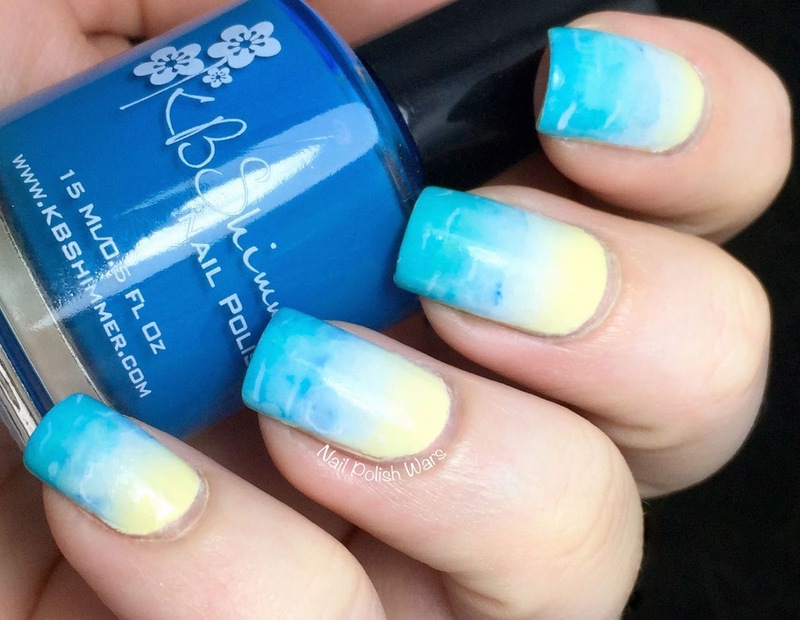 Tell me how to make such a manicure. maybe there is a place where you can do this for me?